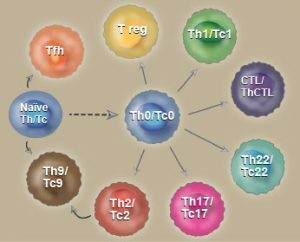 CTLA-4 prevents T cell activation by competitively inhibiting the co-stimulatory signal through CD28, as CD28’s ligands (B7-1 and B7-2) have a higher affinity/avidity for CTLA-4. CTLA-4 also transmits an inhibitory signal intracellularly, which reduces proliferation and cytokine production. Amanda Flies, Ph.D. and Thomas H. Ermak, Ph.D.
Thomas H. Ermak, Ph.D. and Amanda Flies, Ph.D. This paper discusses the use of a recently developed ELISA kit to measure the IGF1 analog LONG®R3 IGF-I in mammalian cell culture media during the production of recombinant proteins. The structures of LONG®R3 IGF-I, Native IGF1 and Insulin are compared, and an immunoassay for the quantitation of LONG®R3 IGF-I is described.